Autumn Sundays are my favorite because if the weather permits, we normally tend to go on family trips and sight see the beautiful foliage of the Pennsylvania mountains. Or we stay in and watch Sunday football. Football is one of my favorite sports to watch, the addreline of the die-hard fans, tailgating, and the sport is just generally fun to watch. Although today’s recipe doesn’t necessarily go hand in hand with Sunday night football. It does go nicely on a chilly, autumn day. 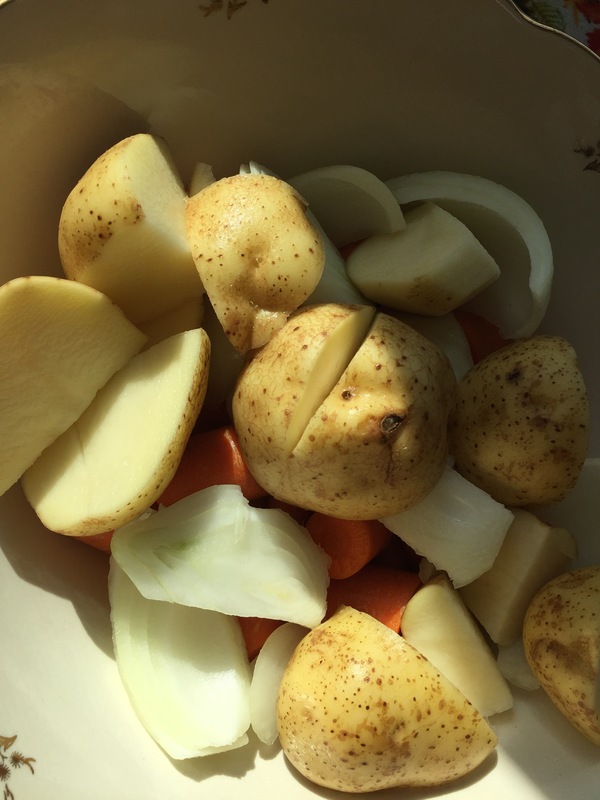 Today’s feature meal will be oven roasted chicken. 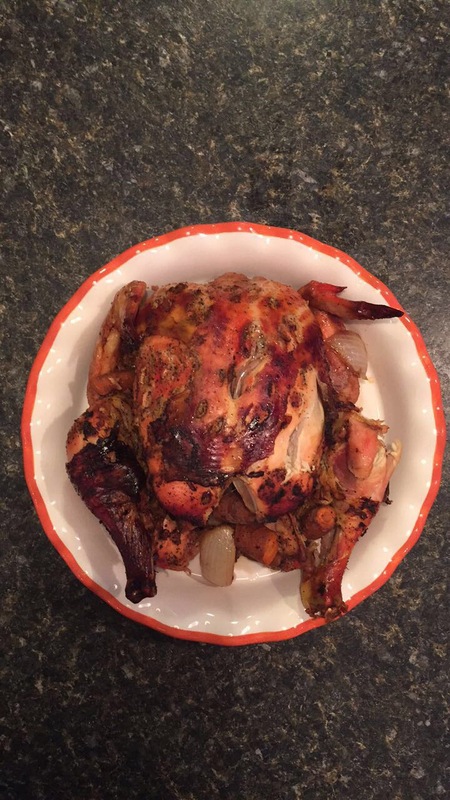 So let’s start out with a nice, whole bird. 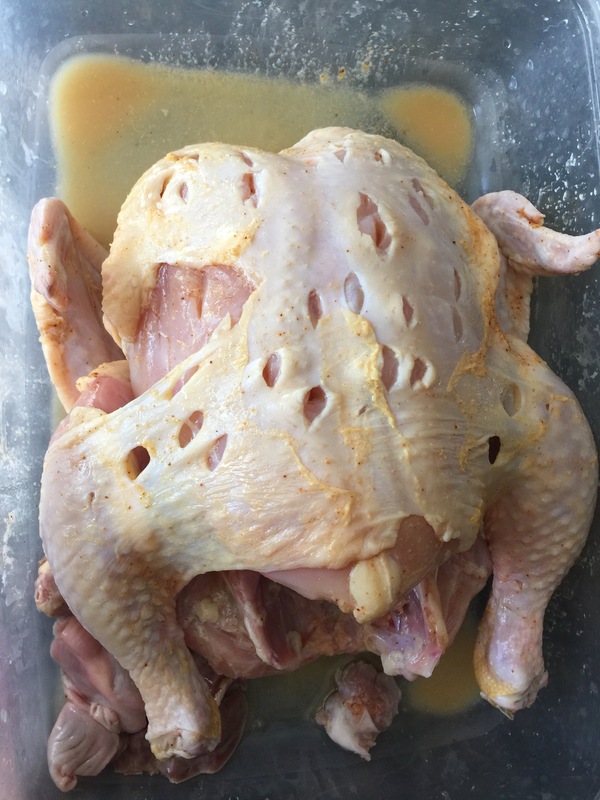 Before beginning to season the meat, I remove the gizzards and rinse the chicken with cold water. Then with a sharp knife I slightly detach the skin of the chicken from the meat and cut slits in the skin. I do this to ensure the seasoning not only stays on the skin, but really gets coated of the meat as well. I then squeeze about 1 whole lime all over the chicken and add a very small pinch of cayenne pepper. Letting the chicken sit and marinate I cut up some yellow potatoes, onions, and carrots to place inside and around the chicken while in the oven. 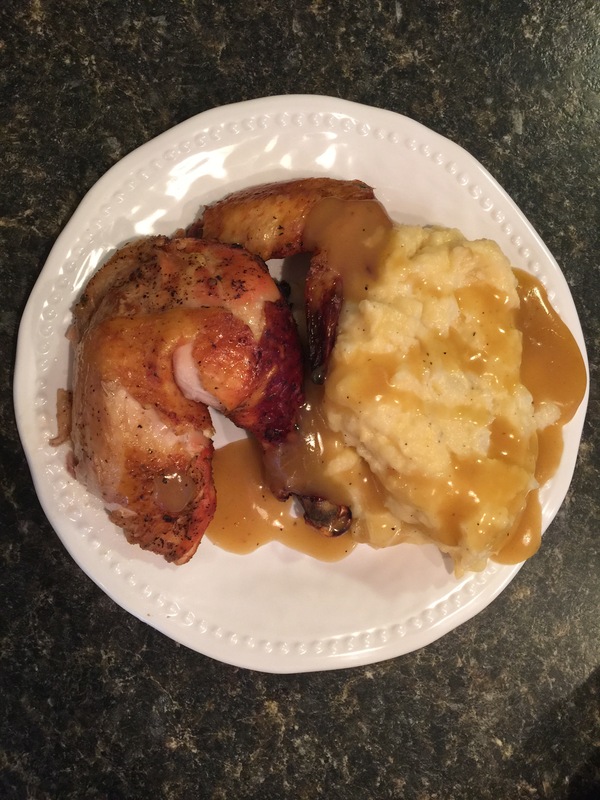 The seasonings for my oven chicken is extremely simple but very flavorful. 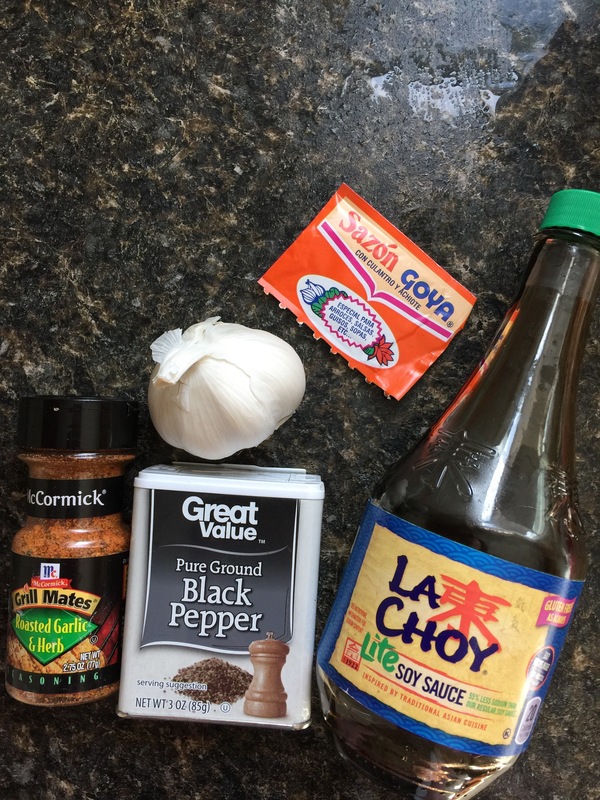 Gotta have my favorite soy sauce and Goya Sazón. I also mince a whole garlic, add black pepper, and the most important part of this dish is the roasted garlic and herb seasoning. I rub all the seasonings (expect the garlic) all over the bird and inside the cavity. Then with the minced garlic I add it in between the skin and meat. Once everything is rubbed in really good. 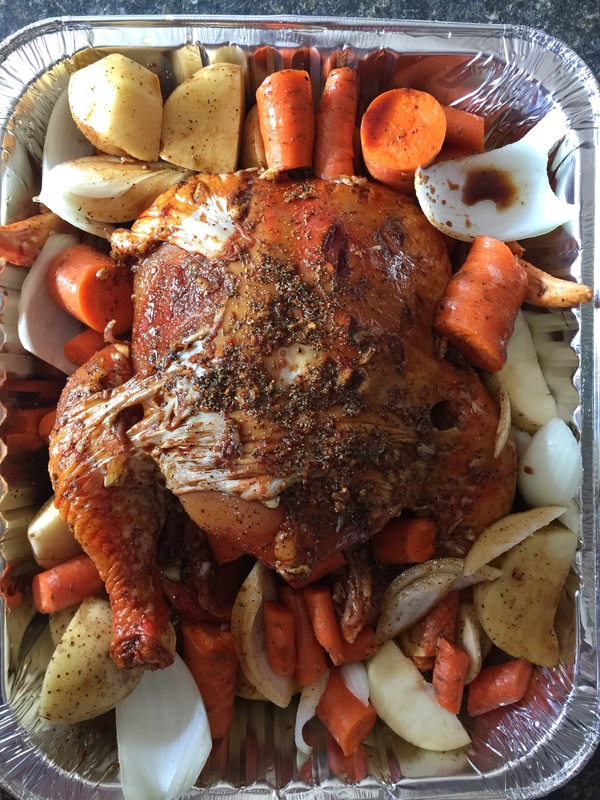 I place the chicken in an aluminum pan, add the veggies and we are ready to roast! 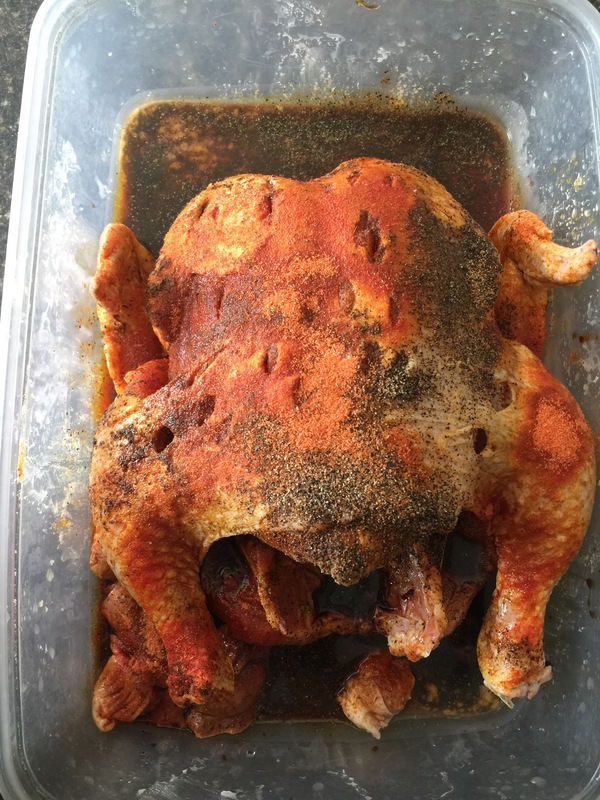 I cook the chicken for 1 hour with aluminum foil covering the bird, and 1 hour without (so the skin gets a nice crunch).